Multinational manufacturers can deliver consistent quality to today’s highest standards, independent of the region in which they manufacture, while maximizing the economic benefits of those regions. Multinational companies have the knowledge and understanding of trade regulations, trade law, and tariff restrictions that can help minimize exposure to risk and hidden costs. Multinational companies working with multiple manufacturing regions are accustomed to dealing with local economic, environmental, social and natural resource issues on a regular basis. Manufacturers with a presence in multiple economic regions can offer customers attractive prices. Cost advantages with regards to labor, raw materials, subsidies, logistics, and energy will present themselves when evaluating various cost models where different manufacturing regions can be explored. Multinational companies can provide a single point of contact to maintain local customer service that speaks the same language in the same time zone, in turn saving time and money. 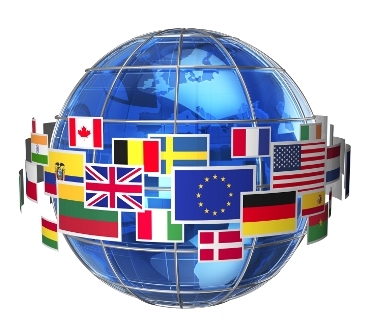 International companies need international suppliers in order to be globally competitive. Suppliers that understand how to provide and deliver value to these customers will in turn strengthen both their customer’s competitiveness as well as their own businesses. These companies will enjoy success beyond what their local economies can generate reducing the risk of doing business in only one region with only one economy. As a multinational company with American headquarters and offices in Asian countries abroad, Bracalente can offer customers with a global team at their disposal. Our products in the aerospace, automotive, electronics, green energy, and agricultural industries features worldwide, competitive quality standards, and affordable prices that promote safety and efficiency in every facility. Visit us today to learn about our capabilities, and contact us with any questions.